It seems that I will never make it as a weather forecaster. In my lecture on Wellington, I promised lots of wind – there was scarcely a gust. 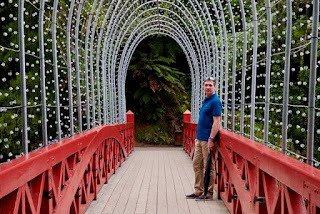 I promised lots of sun in Nelson – it was cloudy. 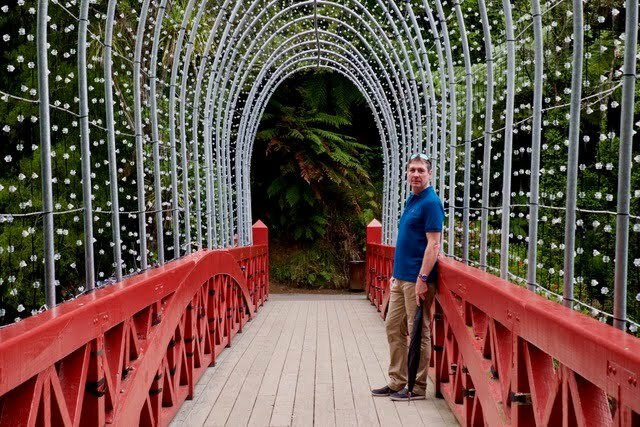 And, in New Plymouth (one of New Zealand's rainiest cities), I said that it was more than likely to rain – thankfully I got this one wrong too, and it just about stayed dry. 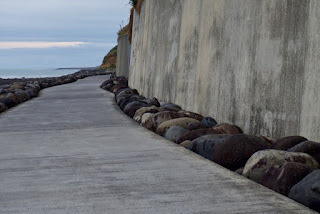 Actually, New Plymouth is not really a touristy place – this was one of only three cruise visits this year – but, for an unfashionable and remote place, it does have quite a lot to offer. Most visitors tend to head up to the striking volcanic cone of Mount Taranaki (which, if you can see it, looks like a dead ringer for Japan's Mount Fuji); but, we were glad not to have chosen to visit it today, because the mountain was covered in cloud and invisible. 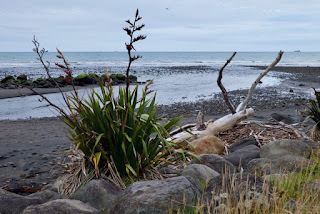 Instead, we chose to get up early and go for an invigorating walk into town along its bracing Coastal Pathway that leads for 8 miles from the port, all the way to New Plymouth and beyond. We passed windswept black sand beaches covered in bleached driftwood, upmarket waterfront homes, parkland, and a golf course, but the centrepiece of the Coastal Path is an iconic piece of outdoor sculpture called the Wind Wand. 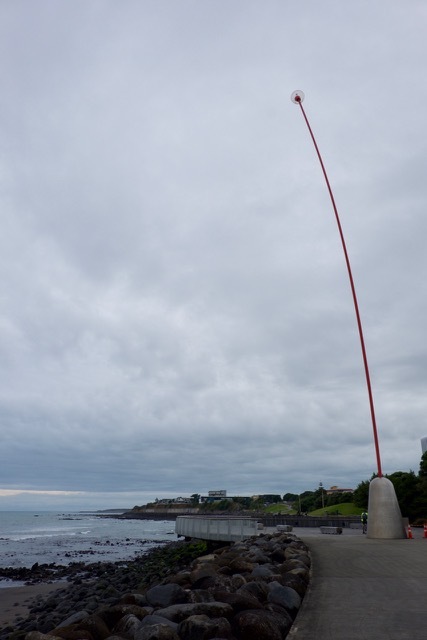 This 44-metre tall red tube by the sea, was designed by local artistic hero, Len Lye (more of him in a minute), and it sways enigmatically on the waterfront in the wind. 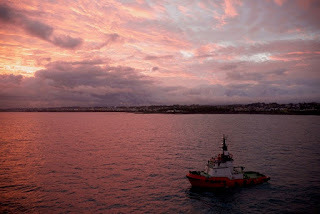 Actually, there wasn't much wind today to make it sway, which hopefully is a good omen for our trip across the notorious Tasman Sea, which starts this afternoon. 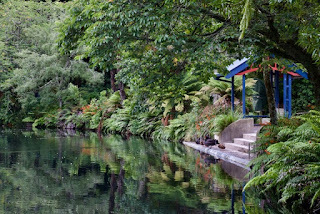 From here, we headed through town (which wasn't particularly lively), to the extremely attractive Pukekura Park. 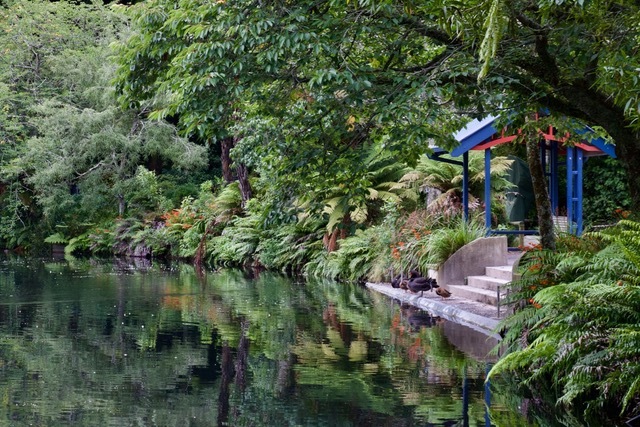 It wasn't the right time of year to see the rhododendrons and azaleas that the park is most famous for; but this lush green oasis was filled with plentiful sprouting ferns, blooming hydrangeas, and tranquil ponds. 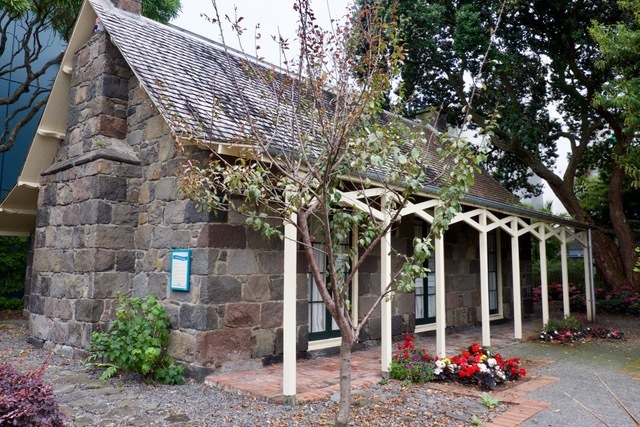 What a great asset for the city. By now, it was time to head for New Plymouth's latest, and star attraction – the Govett-Brewster Gallery, which is home to the new Len Lye Centre. 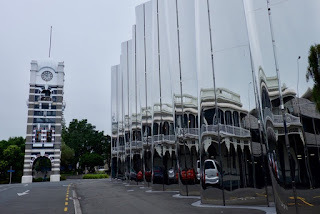 New Plymouth has obviously seen how the "Guggenheim Effect" has put Bilbao on the map – and, on a much smaller scale, they've used some arresting modern architecture to create a truly distinctive museum. The outside of the Museum is encased in a rippling, corrugated wave of shiny steel, and its pared-back interior is all open spaces, white walls and polished concrete. 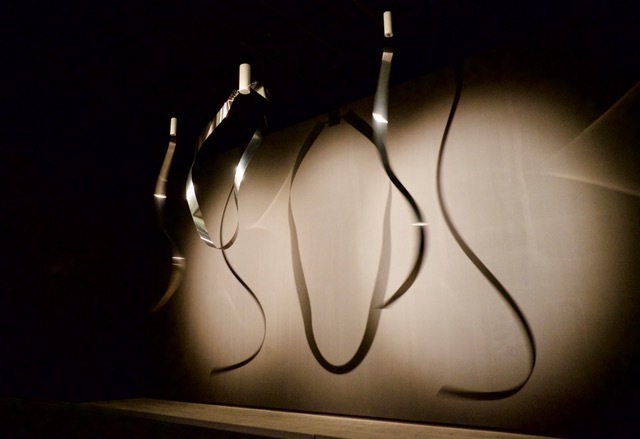 Much of the art inside was created by New Zealander Len Lye (apparently a big name in the 20th century Contemporary Art World – even if I hadn't heard of him before) – a man whose "Kinetic Art" sculptures attempt to capture the essence of motion. We saw a "performance" of his most famous work – Trilogy – which consisted of three different steel sheets swaying, gyrating, dancing and shuddering noisily. It was like a vaguely disconcerting glimpse into an industrial future, where machines/robots/metalwork had assumed a life of their own. Many of the passengers I spoke to found it all fairly bemusing, but it was an ingenious combination of art and engineering that challenged your views on what "art" is, and that engaged you on a physical level that most sculpture can't get close to. Best of all, this groundbreaking gallery confounds people's views on what an isolated provincial town like New Plymouth can offer. The local Tourist Board says that New Plymouth is "Like No Other" – and, with its dedication to Len Lye's rather odd vision, I think that they must be right.